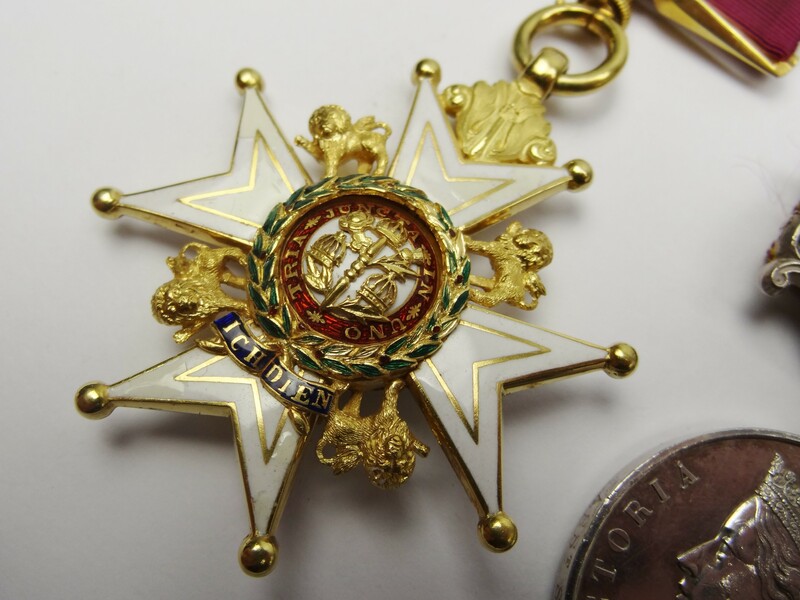 Gallantry : GOLD C.B. GROUP OF 5 MEDALS TO BDE. 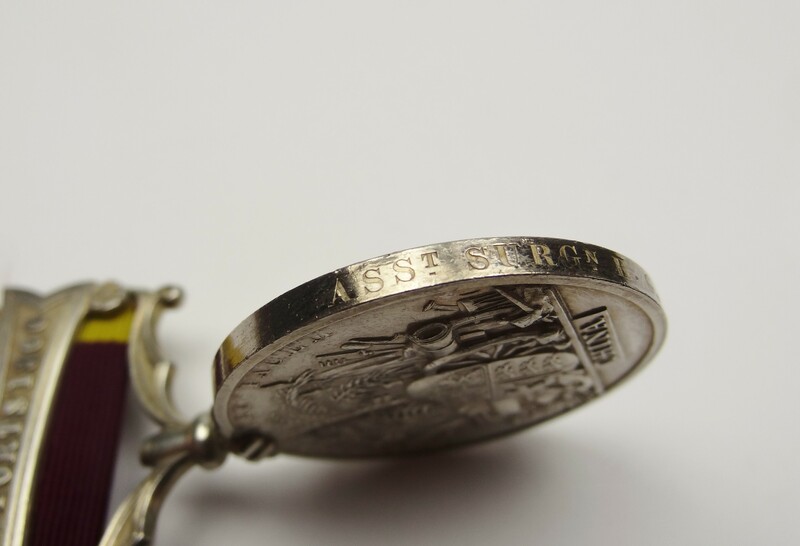 SURGN. E.G. MCDOWELL, 44TH REGT. ** NEW ** The unique Gold K.C.B. 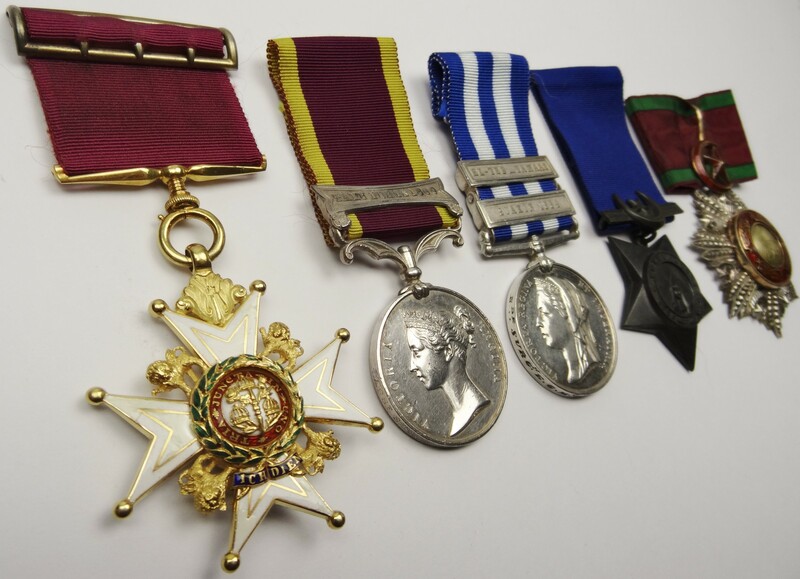 Deputy Surgeon-General's Victorian British group with 1870 German and Prussian awards, consisting of: Knight Commander's (K.C.B. 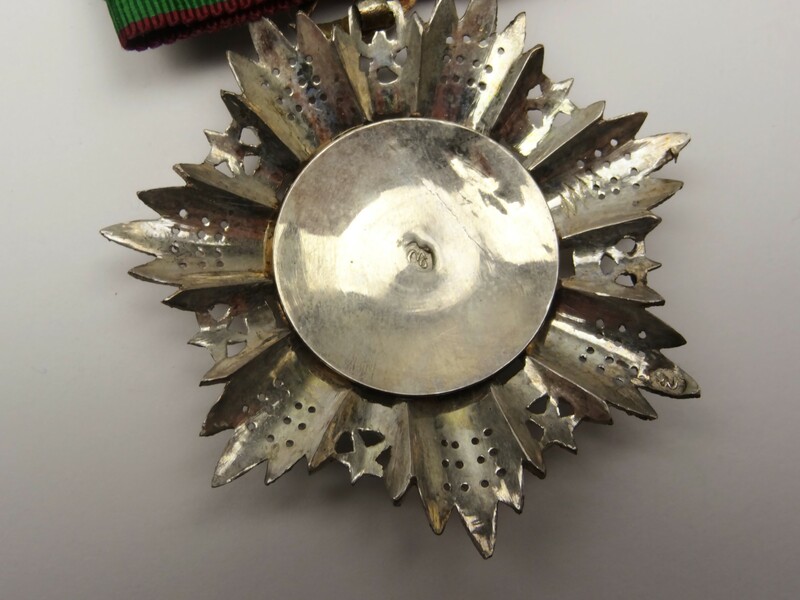 Military Division) metal breast star in silver and enamel; Knight Commander's (K.C.B. 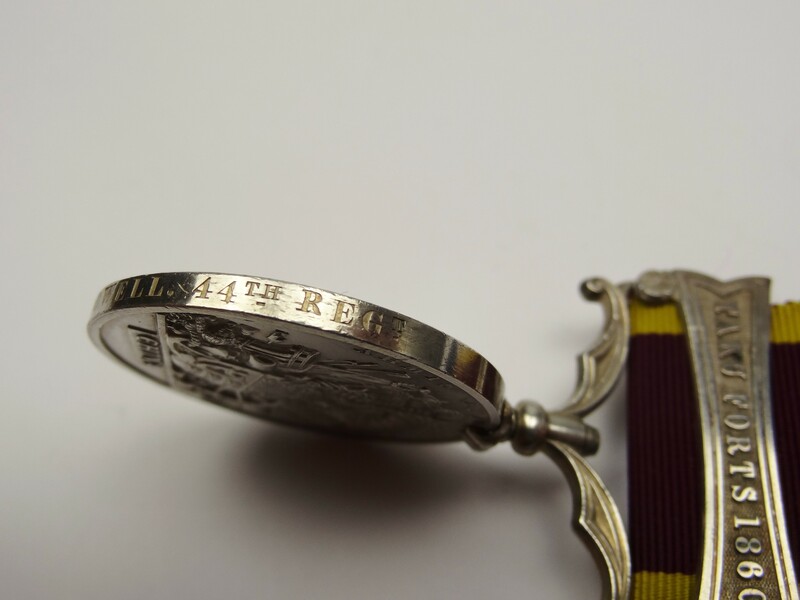 Military Division) Neck Badge with 18 carat hallmarks; Jubilee 1887 in silver with 1897 clasp; Crimea Medal with Sebastopol clasp contemporarily engraved to Surgeon I. Ker. 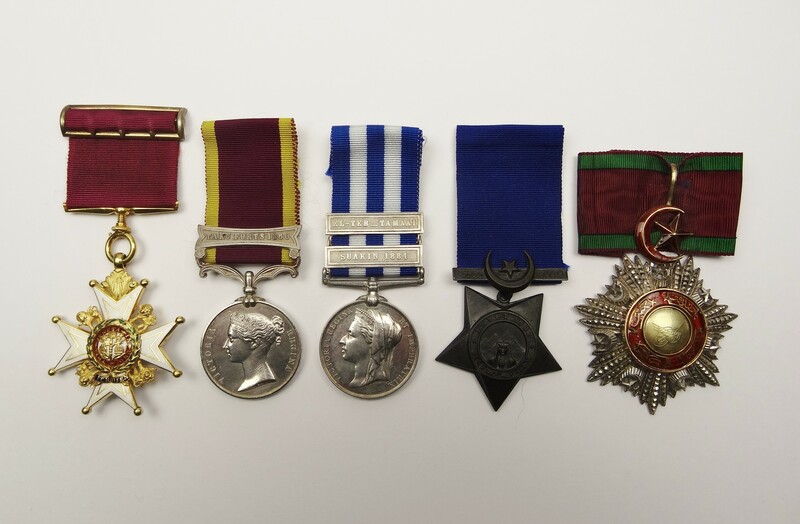 Innes, 60th Foot; Indian Mutiny Medal with Delhi clasp to Surg. J.H.K. Innes, 1st Bn. 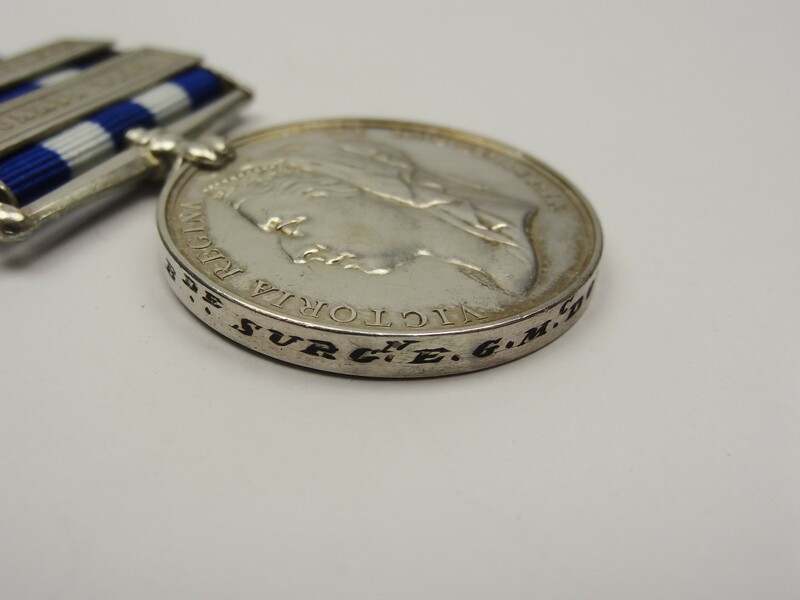 60th Rifles; Afghanistan Medal with Ali Musjid clasp to Surgn. Genl. J.H. Ker. Innes, A.M.D. 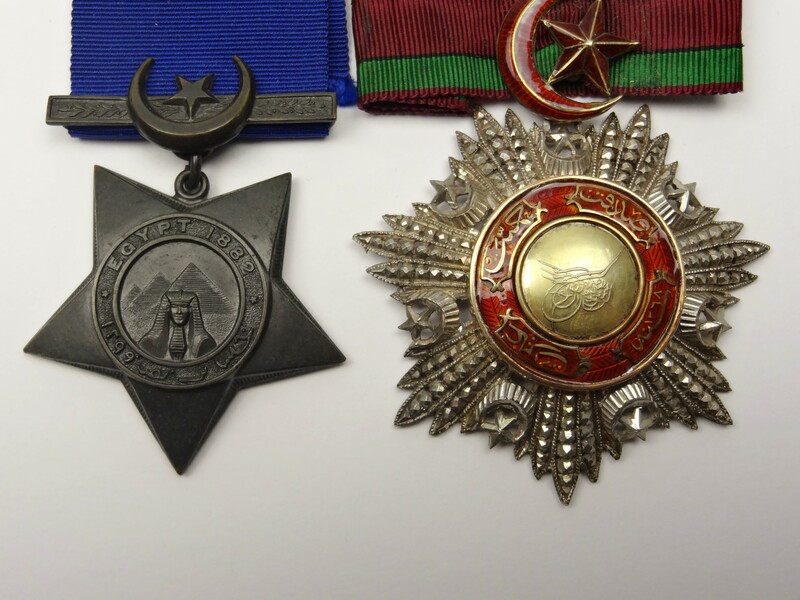 ; German Iron Cross 1870 2nd Class; German Medal for the Franco-Prussian War 1870-71; Turkish Crimea Sardinian issue; Prussian Wilhelm I Centenary Medal 1897, accompanied by corresponding dress miniature medals mounted as worn. C.B. London Gazette 1884. 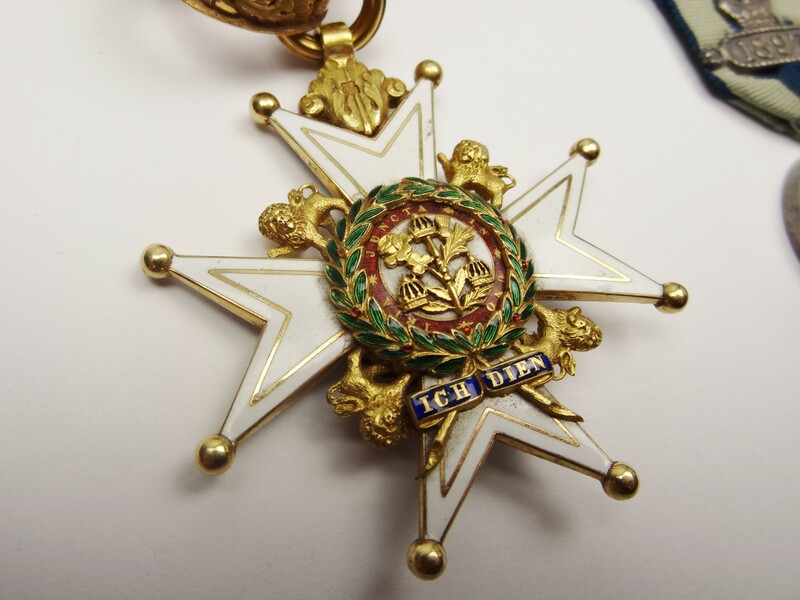 Turkish Order of Medjidieh, 3rd Class London Gazette 1882. 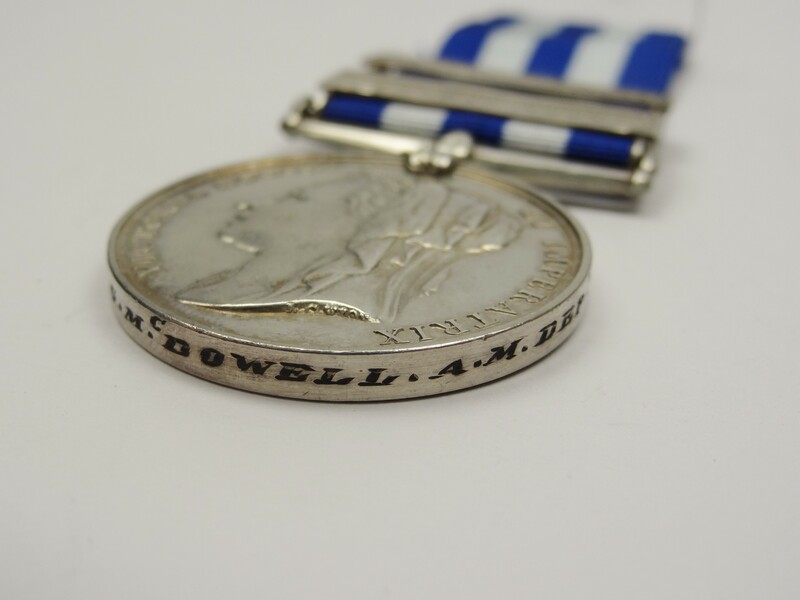 Surgeon Colonel Edmund Greswold McDowell was born at Longford on the 30 Nov 1831. 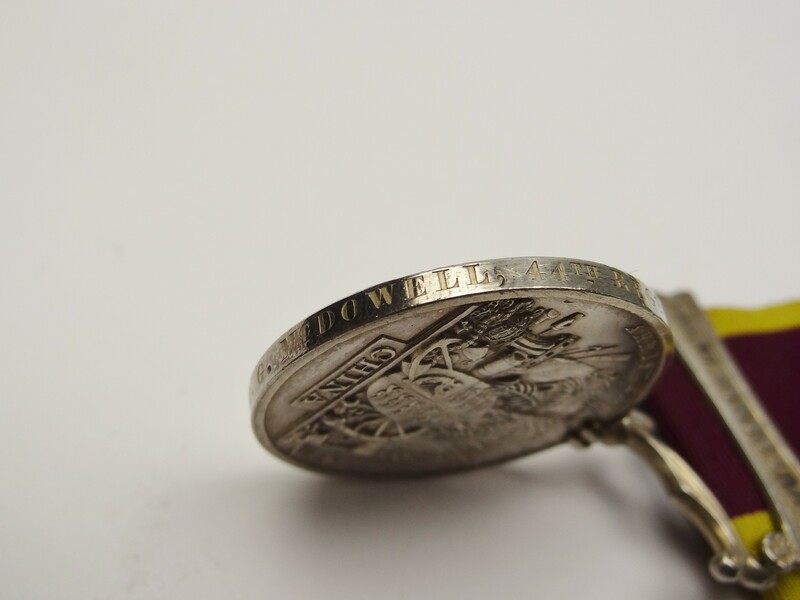 Appointed Acting Assistant Surgeon on 6 Nov 1855, McDowell was promoted Assistant Surgeon Staff on 6. Nov 1855 and serving with the 44th Foot from 9 Nov 1858, including in the campaign of 1860 in North China. Here, McDowell was present at the actions of Sinho, and the storm and capture of the Taku Forts, for which he was awarded the medal and clasp. Appointed Army Medical Department Surgeon Major On 3 Sep 1870, he was promoted to Brigade Surgeon 4on 4 Aug 1881. McDowell then served in the Sudan Expedition under Sir Gerald Graham in 1884, as Principal Medical Officer, and was present in the engagements at El-Teb and Tammai (twice mentioned in despatches, C.B., and two clasps). Penultimately, he was promoted to Deputy Surgeon General and finally Surgeon Colonel on 4 Mar 1886. Granted the local rank of D.S.G. in Egypt on 26 Aug 1885, McDowell finally retired on 30 Nov 1891, dying on 26 July 1907.